The internet was a’buzz with lineups today, but ListenSD’s most stoked for the local freak fest happening next Friday. 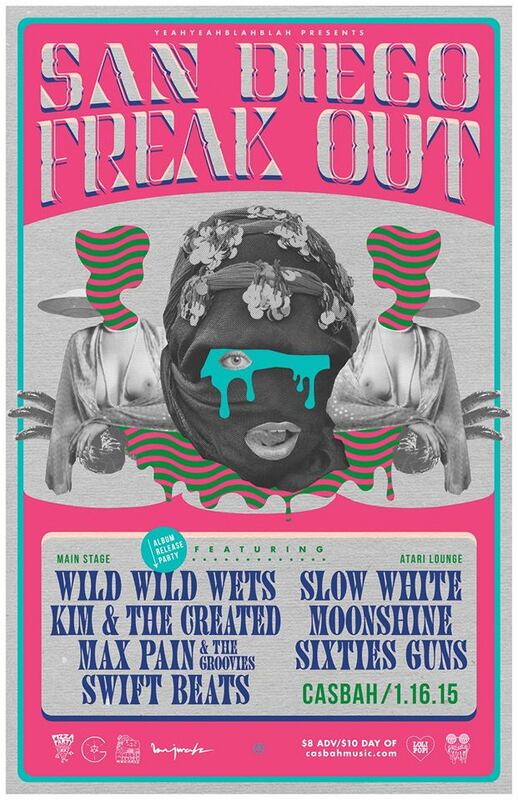 San Diego Freak Out, featuring some of San Diego’s best pysch bands, along with a few friends from Los Angeles and other places, will be a riotous good time. Plus, the Wild Wild Wets will be releasing their brand spanking new EP! Be there or be square.